We all knew the Trump-Russia scandal and investigation would make it to the Supreme Court eventually. The fact that we’re already there is a sign of just how far the investigation has progressed, and just how close to the end of the road Donald Trump may be. 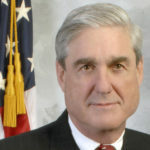 Days after the Supreme Court announced it would consider taking up a case involving Special Counsel Robert Mueller and a mystery Trump-related company, Mueller is making his big move. Robert Mueller had until Monday make his filing in the case, but he went ahead and filed it on Friday night, according to a new report from CNN. Why is this important? Mueller and his team have spent months working their way through the court system, trying to force this foreign government-owned company to turn over evidence which presumably incriminates Donald Trump. This is for all the marbles, or at least for a whole lot of them. If Robert Mueller and his team were scrambling to try to figure out how to make a convincing case to the Supreme Court, they’d have kept working on their filing right up until the last minute. Instead they filed it early and went home. This can be reasonably interpreted that Robert Mueller thinks he’s got this. He has a history of nearly always winning his Trump-Russia court battles. In fact he already won this particular case in federal court, and then again in appeals court. Now he’s ostensibly asking the Supreme Court to decline to even take up the case. We’re inclined to bet on him winning this round.